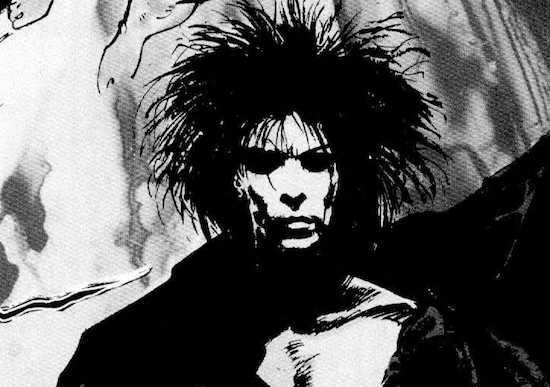 Not sure when I first discovered Neil Gaiman’s Sandman, must have been some point during the first couple of years of the 90′s. I would blame/ thank Sandy who I’m guessing lent me the first few comics. Maybe he didn’t, maybe it was someone else, maybe it was later than that and someone lent me the first graphic novel, I’m not sure. Needless to say I was quickly hooked and read what ever I could get my hands on. The first four books still stand for me as some of the best stories I’ve read. What about the rest of the work I hear you cry. Well I lost interest in the middle, the gods, the mythical, the occult it all seemed to trail off after Seasons. I’d read A Game of You but not enjoyed it. Being young and hard of cash I’d borrowed it from a friend but felt no need to go and buy it myself. Time past and slowly the series ended and I was interested in how it was wrapped up so bought The Kindly Ones and The Wake pretty much either missing the middle books or borrowing them from friends. I enjoyed then end. It felt right and put the books on my bookshelf and there they sat. I’d lend them to people occasionally, and would often go back to the first four books – never really bringing myself to move onto the middle section. For the last couple of years I’ve been thinking of returning to them and reading them again. This summer I’ve had the time and thought it would be nice to read through them again bit haven’t managed to pull my finger out and get it done. Then in passing I mentioned I was thinking of reading them agin, but I was going to read all of them in a day. Not sure why I thought I should read them all in a day but in appealed to me so that was what I decided to do. However in thinking about it I realised I could easily sit home and read through them or I could do something different. I could read them in and around Sheffield, my adopted city. Having made that decision it was then where? Some seemed obvious. The Wake in a graveyard, Seasons in Meadowhall the others not so obvious. So what you will get here is the comments as I am reading them around Sheffield. I’m hoping that there will be comments not only on the work but the people of Sheffield. We shall see. This entry was posted in Comics, Wanderings and tagged Sandman on 28/08/2014 by Chris Gray.